The Team Leader Guide is an informational series of webinars to support leadership skills. 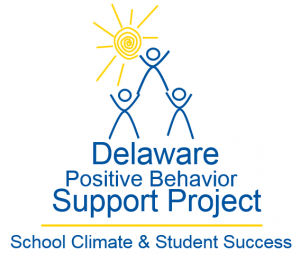 This series was developed as part of the School Climate and Student Success (SCSS) Grant in order to support those that lead teams and schools in the use of PBS as a multi-tiered system of support for behavior (MTSS). By supporting Team Leaders, we hope to build capacity and a support network for sharing ideas and strengthening these programs state-wide. *In order to receive clock-hour credit for reviewing this information, sign up for the course through PDMS. Search for “DE-PBS Project Team Leader Guide Module” or course #27329. Click on the link below to open the Team Leader Guide – Module 1 presentation. Once the slide show opens, do not “enable editing” if prompted to do so. Be sure your computer sound is turned on. Click to progress through the slides, and sound should begin to play automatically. If you are having trouble seeing any graphics or parts of the presentation, try opening the link through a different internet browser (such as Firefox). Also check to make sure you did not “enable editing” in the presentation. -This is a PDF version that can be printed out for note taking while viewing the presentation. Click the link below to complete the Team Leader Module 1 Content Reflection. Note: MOU requirement for SCSS School Team Leaders. Included below are resources that are referenced throughout Module 1. There are sample forms, website links, useful tools, etc. Click on the links below to open the resources.